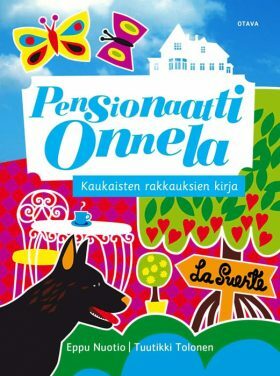 Argentinian temperament meets Finnish small-town atmosphere. The enjoyment in this likeable series comes from a clash of cultures. The lights at the Onnela Boarding House are on all-night-long as Abuelo Ernesto sits yearning for his little hometown in Argentina. Delfina doesn’t want to go there, but what can she do? He’s already bought the tickets; and, they’re one-way. The driver Risto, his heart-throb Aurelie, and the Argentinian aunts Dania and Elena will be left behind to take care of Onnela. Delfina’s friend Wasker is holed up in his room and has no intention of ever coming out again. But then Mormor calls and suggests a little trip across the sea.